Rui Hou. Internet surveillance software screen. All rights reserved. Over the past decade, the influence of the Internet in China has rapidly expanded. A recent report released by China Internet Network information Center shows that the number of Chinese Internet users in 2018 has reached 800 million (60% of China’s population), which is larger than the population of the whole of Europe. The report highlights that more than 70% of Chinese netizens use the Internet for shopping and entertainment. However, another number also deserves our attention: more than 50% of Chinese netizens use Internet to get access to government services. In this sense, the Internet not only impacts the economy of contemporary Chinese society, it also shapes the political life of today’s Chinese people. The political impact of the Internet is a hot topic in social sciences. American scholar Larry Dimond considers the Internet a liberation technology because it enables citizens to express opinions, mobilize protests, and expand the horizons of freedom. In the past decade, such famous protests as the Arab Spring and the Occupy Movement have shown that Internet platforms (such as Twitter or Facebook) play a critical role in spreading information and fueling public emotions, both of which are indispensable for successful mobilization. A similar phenomenon also happens in China. Sociologist Yang Guobing observed that, since the mid-1990s, the Internet has revolutionized popular expression, enabling Chinese netizens to organize, protest, and influence public opinion in unprecedented ways. For example, Chinese workers today know how to use Internet to record and share their strike experiences, and ordinary citizens now rely on microblogs to expose the misconduct of local officials. Although cyberspace in China is still strictly controlled by the state, it is undeniable that Chinese people are actively using Internet to express their dissent. It is evident that the Chinese government, facing the challenge of Internet, is not a passive defender as it is actively incorporating new technologies into its repression repertoire. That is why we hear so much of the pessimistic view that argues that the Internet is a technology of repression rather than of liberation. According to the historical record posted on the Chinese government procurement platform, there have been more than 400 pieces of bidding information and contract briefings referring to Internet-control business. The data in the Chinese enterprise credit system shows that more than 900 companies provide the services of Internet surveillance or own the copyrights for Internet surveillance software. The actual number of control-service providers could be even larger: a product manager told me that there are more than 2000 companies providing various services to government in the market. To put it simply, Internet control in China is becoming a booming industry. What drives such a big market? The demand of clients, especially governmental clients, should be taken into consideration. At a cyber security conference in 2018, Chinese President Xi Jinping said that China cannot let the Internet become a platform for disseminating harmful information and stirring up trouble-making rumours. The President’s statement makes clear that the Chinese party-state is strengthening its grip on the Internet to ensure social and economic stability. In fact, the emphasis on Internet control can be tracked back more than ten years. In 2006, when China was still under the administration of President Hu Jintao, the central government began to highlight the importance of collecting and analyzing Internet information for the prevention of potential social protest. In 2014, the Central Cyberspace Affairs Commission was funded to coordinate different government agencies to process the work of managing internet-related issues. Previous research has pointed out that, in China, propaganda departments are the primary agencies responsible for monitoring internet information. However, for frontline officials, a practical problem has been that traditional manual surveillance could not afford the officials enough time to address the quick spread of Internet information. Governments’ increasing demand to collect Internet information quickly laid the foundation for the involvement of commercial companies who own the technical capacity to address numerous simultaneous sources of information. In 2009, when the state issued a policy clearly encouraging government agencies to outsource their information work to private companies, the industrialization of Internet control acquired its current administrative legitimacy. I call these agencies Internet-opinion companies because their main business is monitoring, analyzing, and manipulating the feeding of Internet opinion. There are two types of agencies that own the greatest market share in the industry. The first consists of the technical companies. Most of these companies prefer to call themselves ‘data companies’ because they argue that Internet opinion is a specific type of textual data. Governments need to conduct real-time control on what netizens are saying about the government, which is obviously impossible for human-based monitoring. Technical companies rely on their data-processing technologies (such as web crawling and sentiment analysis) to provide governments with customer-oriented surveillance software. The data-driven software can help government clients collect news items, comments, and online discussions from a wide range of internet platforms, such as forums, blogs, and other social networking sites. Thus government officials, just by installing such software on their PCs or mobile phones and setting up the related key words, can quickly know the tendency of shifting sentiment, variation trend, and diffusing track of public opinion, all of which can be easily identified by the built-in algorithms of the software. Early on, because media companies lacked enough technical capacity to develop their own surveillance software, they had to outsource the data analysis to technical companies or universities. Now, however, they mainly rely on their own media resources and rich experience in interpreting central-government policies to produce analytical reports. In addition, media organizations can use their media channels to help government clients directly address negative information and promote positive propaganda. What products or services are popular in this market? As mentioned earlier, surveillance software and analytical reports are the most popular products. 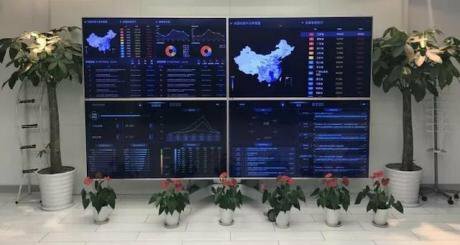 Recently, Internet-opinion companies have developed new data services to diversify their product line; for example, technical companies are promoting the service of digital commenters. Relying on the capacity of cloud computing, this product helps governments automatically post comments with fabricated IPs to boost pro-government information. A sales director told me that the need for this product was coming mainly from the propaganda and public security systems and that the central government’s quantified requirement for pro-government commentary was the most direct impetus for this business. Moreover, media organizations set up special training programs for frontline officials, which help them know how to use data products to monitor Internet information efficiently, and also provide them with a platform to share the best practice in successfully neutralizing online dissent. In China, deleting Internet users’ posts is a commonly used method for governments to prevent the spread of anti-government information. However, local governments have censorship authority only for the websites they manage. 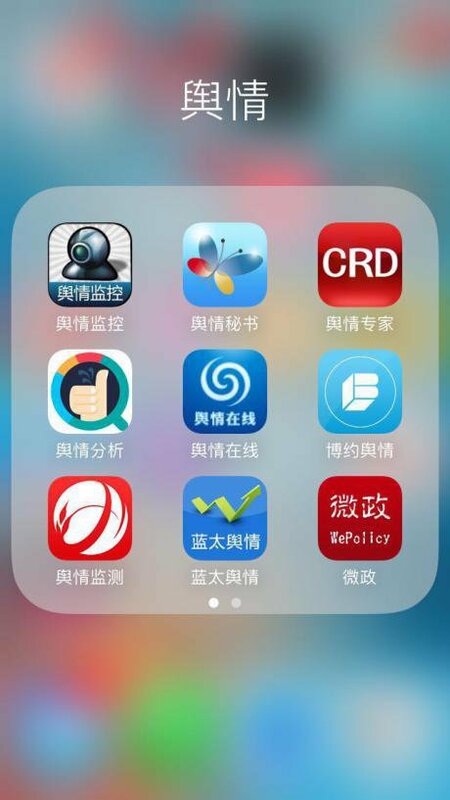 This means that local governments, compared with central governments, lack the authority to directly delete information posted on the most popular websites that are run by China's Internet giants, such as Sina, Baidu, and Tencent. An interviewee told me that most technical companies have close business connections with content editors working for those popular websites. By paying money to the technology companies, local officials in the past could ask editors to help them delete the posts against their governments. However, in 2015, the central government issued a new law making the paid service of deleting posts an illegal act in the Internet industry. This change makes the DDoS (distributed denial-of-service) attack another popular product in the market. In the DDoS model, attackers (for example, local governments) use digital methods to flood targeted websites (for example, anti-government activists) with crippling volumes of artificially generated Internet traffic. This method effectively shuts down the targeted site for a time and denies access to legitimate users. One of my interviewees explained that this method of deploying artificial readers to view a website, is a different type of website attack from deleting a post, and is not against the law. Considering that using this method to attack targeted websites is not moral, technological companies do not tend to sell this service publicly. Technical companies will not write this service in their contracts or on official websites. But their salesmen can provide the contact attackers’ information to their clients. In the digital era, the Internet boosts the Chinese economy not only by promoting Internet shopping and online payment but also by transforming digital repression into a special industry where businessmen can make money. In this sense, for-profit organizations are woven into the configuration of state repression. Although the Internet owns the potential to empower citizens with the ability to freely express their disagreement, there's increasing evidence showing that the state can also benefit from the innovations of new digital technology. For-profit organizations are woven into the configuration of state repression. My research demonstrates that marketization is a critical process enabling the state to realize this benefit. The market mechanism serves as a bridge linking the profit motive of commercial companies with the repression demand of government agencies. For-profit organizations such as technological companies and media organizations equip government actors with various types of advanced data tools to restrict public discussion in cyberspace. When state-market collaboration becomes the new feature of Chinese Internet control, civil society’s space on the Internet is doomed to shrink. In some ways, the political participation of data companies can be understood as a new variant of the political consulting companies which have flourished in western democracy for a long time. However, the state-market collaboration in authoritarian regimes such as China still constitute a new phenomenon. As well as the industry of Internet control, privatized coercion has also become part of the repressive repertoire of contemporary authoritarian states; government officials in China, Philippines, and Jordan sometimes hire thugs, gangsters, and other suppliers of private violence to repress citizens and influence domestic elections. Knowing that most data-based surveillance systems rely on monitoring government-concerned key words in online posts or comments, experienced activists usually avoid directly including sensitive words in their posts. For example, the names of Chinese leaders are usually considered as sensitive words in most online forums; discussion including leaders’ names are more easily censored. When referring to a specific political leader, most activists chose to use initials or nicknames in their online discussion. Another interesting example comes from the #MeToo campaign in China. After realizing that the hashtag of MeTooInChina was blocked on the online platform of Weibo and most posts including sensitive words such as “MeToo” were removed, activists began to adopt nicknames and emojis as new hashtags to expose more sexual harassment. According to the introduction of Meg Jing Zeng, a senior research associate at the University of Zurich, because the Chinese pronunciation of "Rice bunny" (米兔) sounds like "MeToo", Chinese activists use it as the nickname of the #MeToo campaign. Similar practices of using homophones and images are widely used in China as a form of coded language to avoid censorship and surveillance in the cyberspace. Rui Hou. Screenshot of surveillance software. All rights reserved.